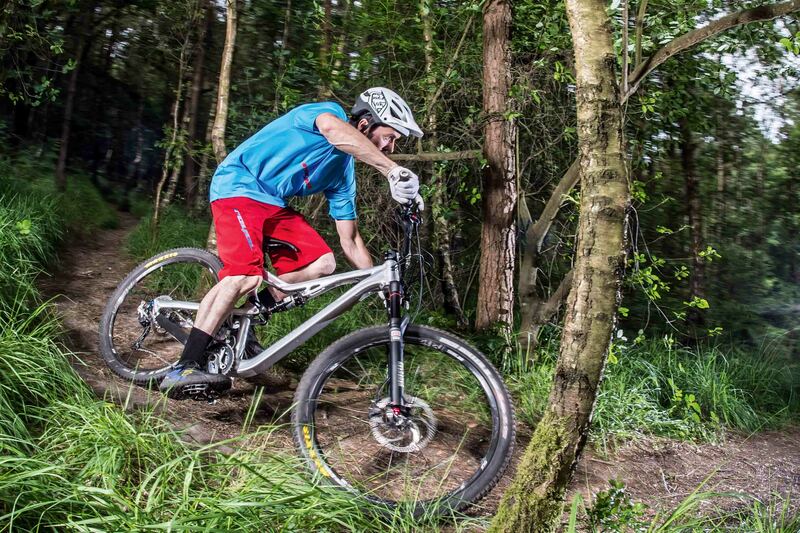 This product is featured in: The best mountain bikes under £2,000. While Canyon and YT hog the limelight on the German direct-sales stage, Rose has been busy working away in the wings, building incredible bikes at equally competitive prices. What really sets Rose apart, however, is its extensive range of customisation options. 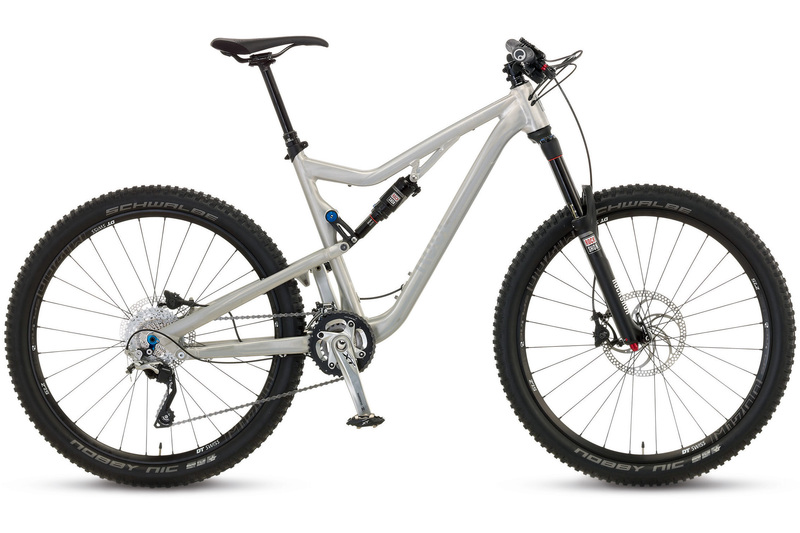 Take the 150mm-travel Granite Chief 2 27.5 for example; it’s one of several base models in the Granite Chief range, but you can change pretty much every component when ordering the bike. Don’t fancy the Formula CR1 brakes? 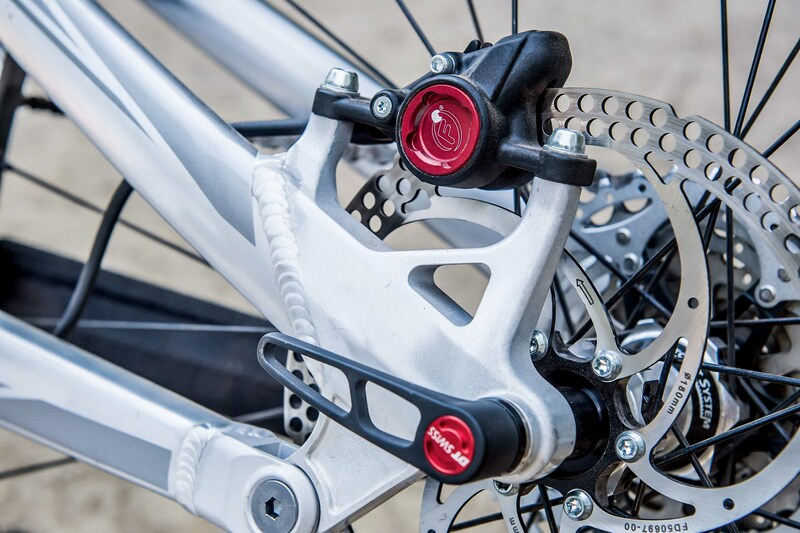 No problem; Rose has three other options including Shimano XT and SRAM Guide RSCs for a small up-charge. Not all changes incur a price hike either, like the choice of Schwalbe Nobby Nic or Continental X King tyres. All in, it’s pretty much akin to a full custom build. But enough about the spec options, let’s take a closer look at the Granite Chief frame. Rose has given its trail bikes a facelift for 2015, so sleek hydroformed pipes and modern angles have replaced the old chunky tubes and funky geometry. With its brushed alloy finish, this bike is simply stunning. And it’s not just a looker; it’s packed with all the latest mod cons too, including a tapered head tube and 142x12mm rear end. To maintain the frame’s smooth flowing lines, the Rose Granite Chief 2 sports internal cable routing, where four cables enter the head tube and three pop out just under the BB — the Reverb cable running up into the seat tube. They aren’t secured inside the frame though, and from the first ride it was apparent that cable rattle would plague the Rose. The suspension design on the Granite Chief is an FSR/VPP hybrid. As such, you have a Horst Link pivot on the chainstay and a counter-rotating upper link, pumping out 150mm of travel. 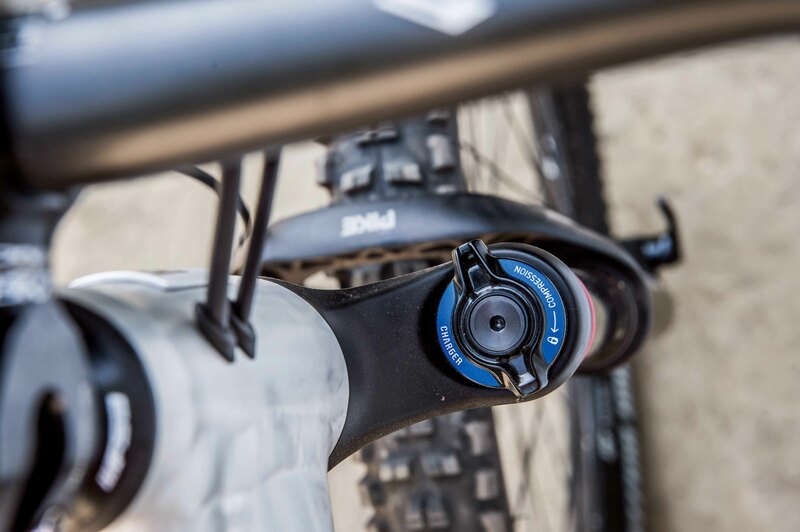 Damping duties are care of a RockShox Monarch RT3 shock, which has rebound adjustment and three compression settings. Keeping it RockShox front and rear is the excellent 150mm-travel Pike RC. It’s not the top-end model, but at this price point we certainly weren’t complaining. The bike ships with two Bottomless Tokens in the welcome pack and none in the fork, and we suggest fitting them both during initial assembly. 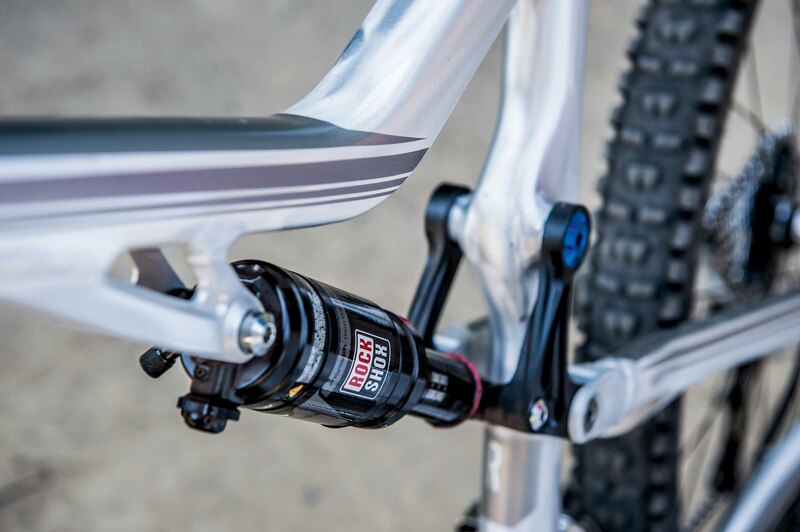 With its slick-shifting Shimano XT transmission, and 150mm-travel RockShox Reverb dropper post, it’s hard to find fault with the component package on the Rose, especially when you can swap or upgrade most parts. There’s always room for improvement though, and the 80mm Race Face stem felt out of place with the relaxed steering geometry. Also, the Formula CR1 brakes require a very delicate touch if you don’t want the DT Swiss wheels locking up. With our control tyres and a 55mm stem fitted, the Rose looked and felt ready to rock. But the rear suspension didn’t want to play ball, feeling harsh off the top but soft in the middle of the travel. We tried running less air pressure in the shock to get it moving more easily, but this just made the back end feel even more wallowy and dead. In the end, we gave up on the Monarch shock open setting altogether, running it instead in the mid-threshold setting. Even then, the bike would still sink into its travel too readily when grinding in the 38t chainring. We also smashed the chainring repeatedly when hopping over logs and rocks. It’s as if the suspension on the Rose has been designed around a 34t chainring, but the two options on the XT chainset are either too big or too small to give the perfect chain line relative to the suspension. 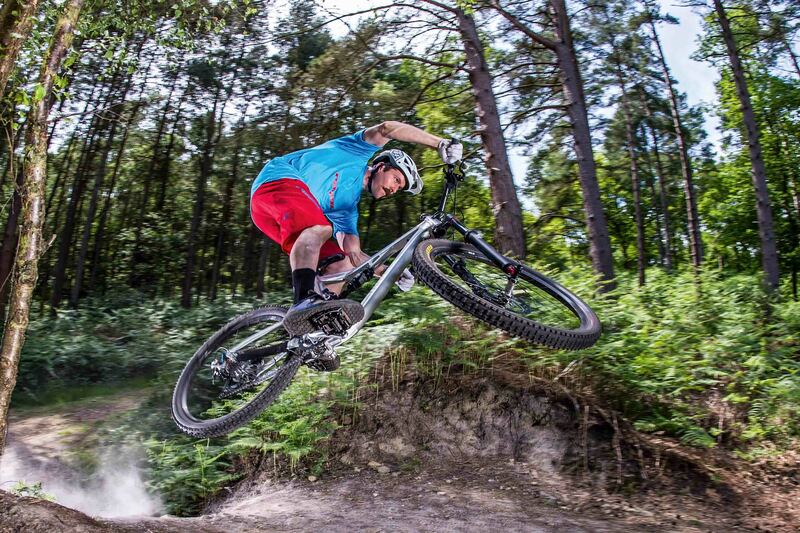 Still, with the Pike up front, we could tuck in behind the fork and charge hard on even the most challenging trails. Rose has definitely stepped it up a notch or two with the latest version of the Granite Chief — new tubing profiles and revised geometry bringing this 150mm-travel trail bike bang up to date. At 13.7kg it’s impressively light too. It’s not perfect though. We struggled to find a rear suspension set-up that offered the optimum balance between pedalling efficiency and grip. It seems like you can have one or the other, but not both. Also, we couldn’t live with the non-stop rattle of the cables inside the down tube. Earplugs should definitely come in the welcome pack.